European Tour player and Tournament Ambassador Michael Hoey, Tourism Minister Arlene Foster, European Tour Commercial Director Mark Aspland, Galgorm Castle’s Christopher Brooke & Ballymena Lady Mayor Audrey Wales at the official launch of the NI Open at Galgorm Resort and Spa, Ballymena. Free entry and a food village in the grounds of Galgorm Castle should ensure bumper crowds for the Northern Ireland Open Challenge from August 28-31. After record numbers attended last year’s event, this year promises to be a spectacular occasion for all the family with a designated food village in the grounds of the estate castle plus an interactive golf village behind the 18th. Even better news is entry to the Challenge Tour event and all the activities is free. All you have to do is visit www.niopen.co.uk and register to receive your free tickets and be part of Northern Ireland’s very own professional golf tournament. “The return of this high profile tournament is yet another indicator that Northern Ireland’s reputation as a major golf destination is thriving,” said Enterprise, Trade and Investment Minister Arlene Foster. “Together with the Irish Open in 2015 and 2017, this tournament will further cement our position as a ‘must play’ destination for golfers. “Last year’s inaugural NI Open at Galgorm broke all European Challenge Tour attendance records, attracting over 22,000 spectators and I have no doubt that this year’s event will once again attract big crowds. The finale of last year’s tournament couldn’t have been scripted better as the packed grandstand at the 18th enjoyed a dramatic play-off between 2008 Ryder Cup star Oliver Wilson and eventual winner Daan Huizing from The Netherlands, who picked up the £22,400 (€27,200) winner’s cheque. Huizing went on to win a couple of weeks later before graduating to The European Tour at the end of the year. "It is very important for the Challenge Tour to have an event in Northern Ireland and to tap into a region that has so many golf fans,” explained Alain de Soultrait, Director European Challenge Tour. “We are excited to return to such a great venue again in August as the tournament continues to grow and in the future hopefully events like this can help to inspire a new generation of Irish golfers. 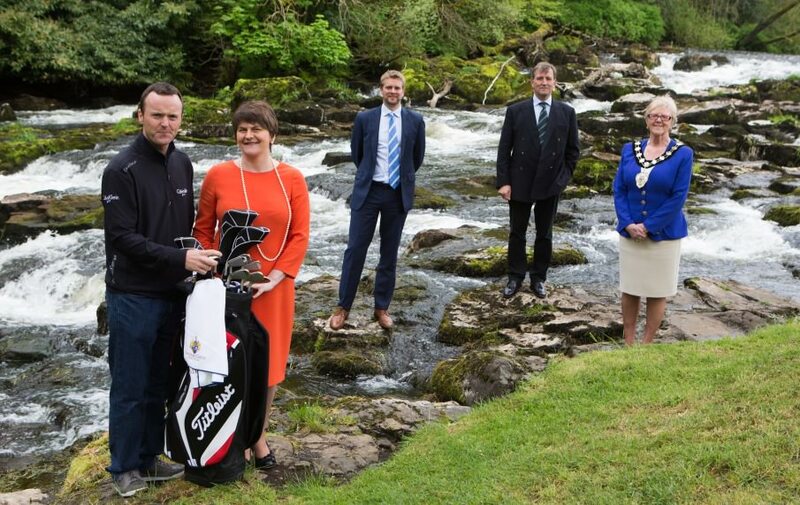 "I would like to thank the Tourism Minister Arlene Foster, the Northern Ireland Tourist Board, Ballymena Borough Council and Tourism Ireland for their involvement in the event, and look forward to another great week of golf." This year’s £140,000 (€170,000) showpiece promises another stellar line-up, not least with five-time European Tour winner and tournament ambassador Michael Hoey confirmed to play. “Great things are happening with golf in Northern Ireland at the moment and the organisers at Galgorm and this tournament are playing a key role in the overall story,” explained Hoey, who despite missing the cut 12 months ago was hugely impressed with the set up. Organisers have introduced a ’Food Festival’ to the 2014 NI Open to ‘savour the culinary delights of the region’. The gourmet excellence theme will carry through to tournament week where suppliers, exhibitors and live demonstrations will showcase the very best of NI produce within the designated food village at the castle. The golf village will be another interactive spectacle for all the family with free golf lessons for the kids and sporting challenges for the ‘big kids’ too. Leading golf retailers and event partners will be present in the golf village with great deals, promotions and competitions throughout the week. Before the week-long festival of food and golf, the game’s elite amateurs will get another chance to tee it up with the professionals through the annual North of Ireland Strokeplay. The 36-hole event will take place over the championship parkland on Tuesday, 24th June. 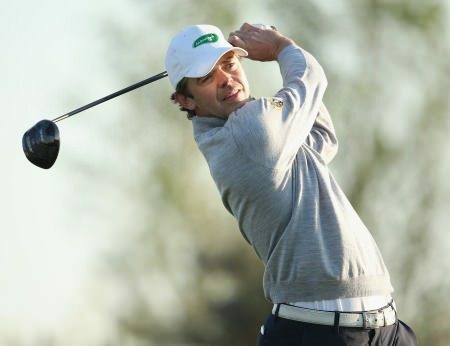 Last year local favourite and Irish international Dermot McElroy took the title and earned his place in the NI Open field and would go on show his exceptional talent by finishing tied ninth on six-under. “Both the North of Ireland Strokeplay and especially the Northern Ireland Open are crucial events for the development of our young players,” explains Gary Henry, Director Galgorm Castle and NI Open Event Director. The media value alone for last year’s event was £3.5m (€4.2m) with a potential international television audience of 448 million viewers as Tourism Ireland assist in securing international TV coverage of the event. Christopher Brooke, Director Galgorm Castle, expressed his thanks to all concerned for making the event possible. “Special thanks must go to all our key sponsors and partners, such as the Northern Ireland Tourist Board, Ballymena Borough Council and Tourism Ireland plus the many others involved - without their support none of this would be possible,” said Brooke.